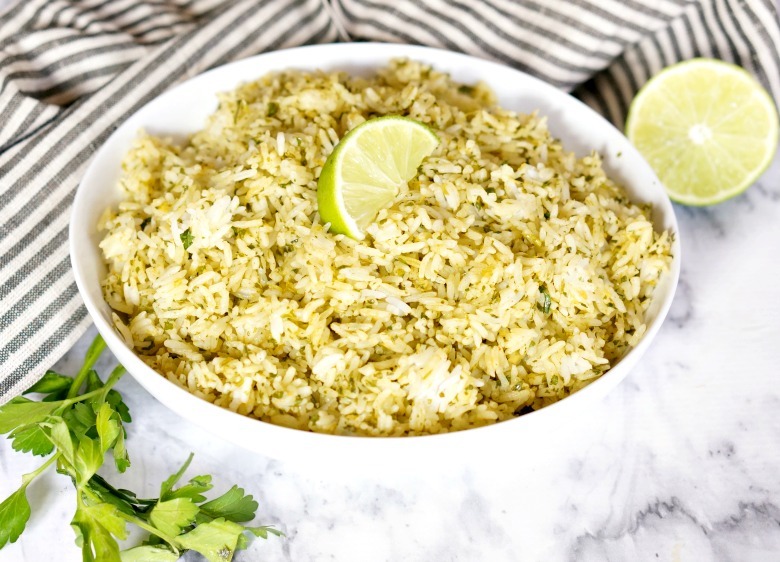 Chimichurri sauce, a blend of fresh herbs and citrus, makes a great base for this rice dish. Make this Chimichurri Rice recipe to serve with grilled meats, Mexican night, and Mediterranean foods, too! Ever get into a cooking rut? That’s me with side dishes. 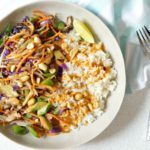 I always am game for trying new main dishes – whether it be a new marinade for meats or a slow cooker recipe. But side dishes? 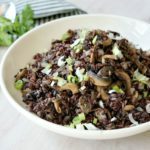 I tend to lean heavily on a few tried and true recipes. 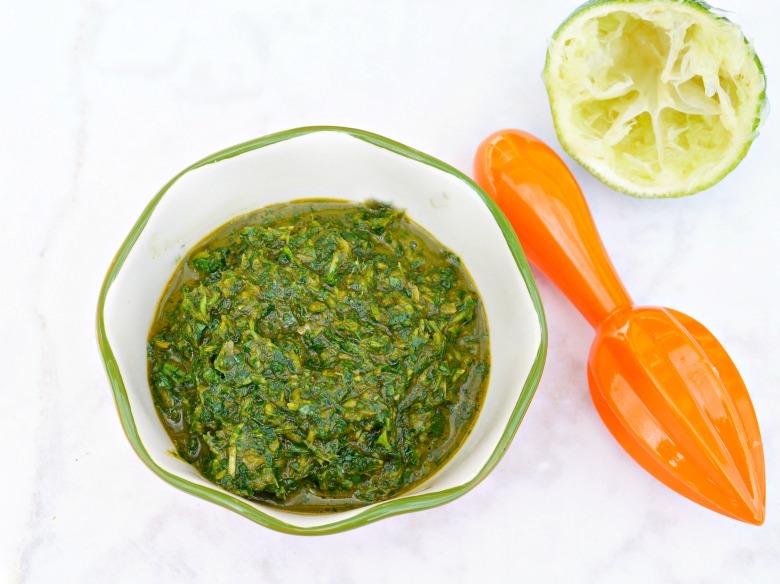 It’s when I was making a chimichurri sauce to use as a marinade in a seafood recipe I was working on for a client that I realized… this would make a darn good base for rice. And, boy was I right. Y’all. 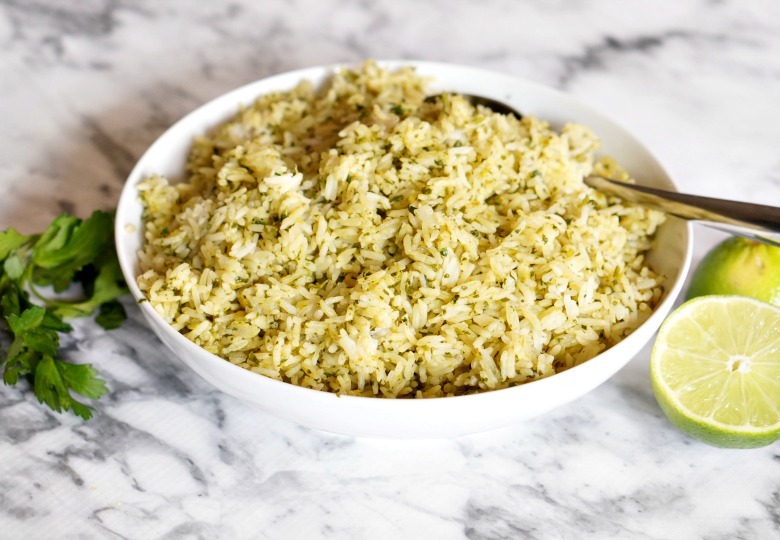 This Chimichurri Rice recipe is amaze-balls. Like have it at-least-once-a-week delicious. And, easy. So very easy. 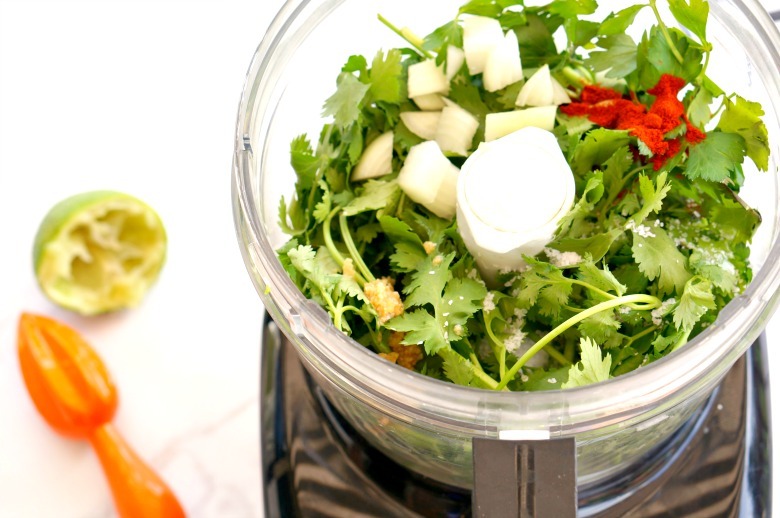 To start, throw a bunch of fresh cilantro and parsley into a blender along with lime juice, olive oil, onion, garlic, salt and smoked(!!) paprika. Give it a whirl until smooth. 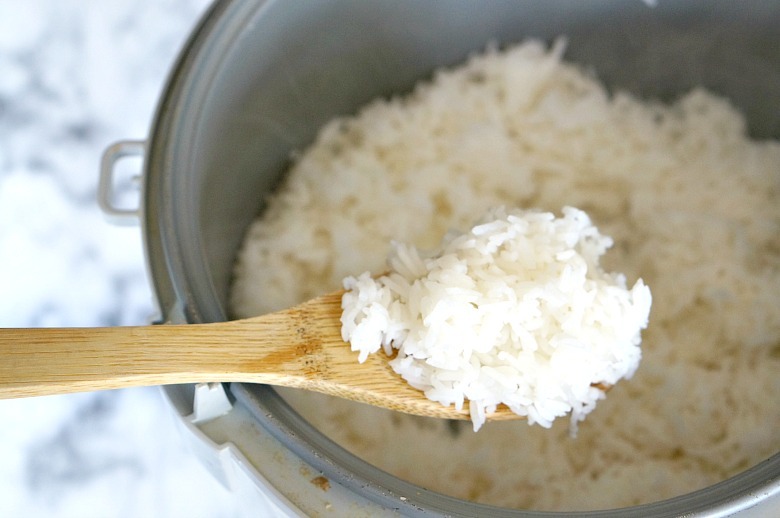 If you have a rice cooker, that’s the easiest way to go. There was a time that I thought this was an unnecessary appliance. That was also the time that I never cooked rice because it either came out mushy or hard. Now, I just combine the right ratio of rice and water and press start. 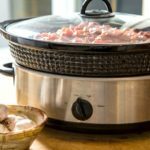 Once the rice is done, open the rice cooker and let the steam escape for a few minutes. Pour in the chimichurri sauce and give it a good stir. 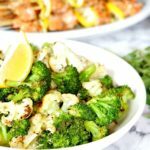 Serve with your favorite grilled meats and a slice of lime! Delish! To start, you just need to throw a bunch of fresh cilantro and parsley into a blender along with lime juice, olive oil, onion, garlic, salt and smoked(!!) paprika. Give it a whirl until smooth. 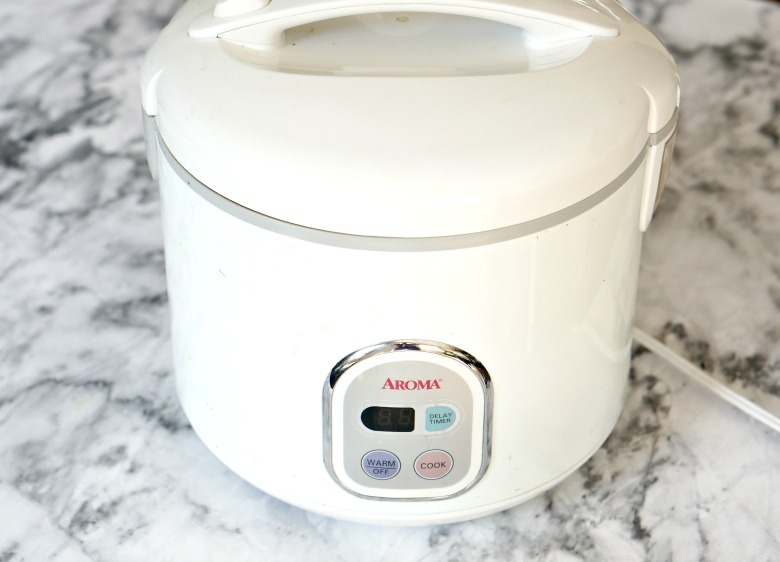 If you have a rice cooker, that's the easiest way to go. There was a time that I thought this was an unnecessary appliance. That was also the time that I never cooked rice because it either came out mushy or hard. Now, I just throw in the right ration of rice and water and press start. Perfect. Every. Time.